The Conditioning Classroom is your best resource for the right training, the right nutrition and the right results. All Trainers are nationally certified. Since 2002, The Conditioning Classroom has helped people who want to escape the big gym scene and exercise in a small comfortable environment that is directed towards results! We help people learn about and embrace exercise as a positive aspect in their life, leading to overall wellness and vitality. Bottom line: we are here to help! Dianne has been providing professional weight management and sports conditioning training for individuals since 2002 and opened The Conditioning Classroom, a private personal training studio, in 2006. She earned the prestigious designation of Certified Sports Conditioning Specialist from the National Sports Conditioning Association in 2007. Her personal journey into the world of fitness began in 1994 when she took her first self-defense class in Gracie Jiu-jitsu. She was hooked and has stayed active in the martial arts, earning her 4th degree black belt in Taekwondo in 2008. Along the way, she has taken classes in Krav Maga, Hapkido, Tai Chi, American Boxing and is currently Denver’s premiere kickboxing instructor, having taught classes since 1998. She has been featured many times in the Denver Post and as a guest on 9News for Wargin’s Workouts. In addition, Dianne is a Certified Tai Chi Instructor (level 1) through the American Tai Chi and Qigong Association and leads the Tai Chi program here at the studio. Dianne and all of the trainers in The Conditioning Classroom are dedicated to helping their clients learn to truly live. We all know the difference in how we look and feel and respond to others when we are truly living as opposed to simply existing. From self-defense classes which teach living as an acute response, to helping you create the right exercise plan and incorporating the right nutrition so that your life becomes chronically enjoyable, the trainers at The Conditioning Classroom design individual programs to help you be vibrantly alive! 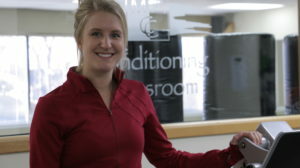 Stephanie is an ACE certified personal trainer and has a strong passion for fitness. She knows there are many misconceptions about exercise and nutrition, and wants to help educate others so they may lead a happy, healthy lifestyle. With all the fads and misleading information out there, it can be hard to figure out what works. Stephanie wants to help show people how simple and fun, being healthy and exercising can be. Stephanie has experience and enjoys training people of all fitness levels. From younger guys and gals in their 20’s wanting a better body, to older men and women in their 50’s and 60’s just looking to feel better and be able to perform daily activities with with ease. Stephanie loves many outlets of exercise, has been snowboarding for over 14 years and has participated in many different sports her whole life. Having a background in sports has helped Stephanie create fun, functional and safe exercise routines. She creates workouts with each specific client’s goal in mind, because she knows each person is different and needs different exercise routines to achieve their goals. Stephanie aims to create a positive and comfortable atmosphere because fitness should not be stressful, so that anyone can adapt it into their lifestyle. Gina graduated from Arapahoe Community College with her Associates degree in Human Performance/ Exercise Health Science and received her personal training certification from the American College of Sports Medicine. Her goal is to be a role model her family and friends can look up to and learn from in regards to living a healthy lifestyle. She has been intrigued and following a healthy lifestyle since her early twenties but more so after the birth of her daughter. She has a passion for helping others and plans on using her people skills and knowledge in the fitness profession to motivate, teach and inspire people of all ages and diversities. She believes exercise adherence can be achieved by creating an enjoyable and individualized program that fits her clients’ goals and needs, so they can adapt to behavior change. She is excited to show the many ways there are to move and improve the body that you own. Her daily objective for her professional development is to learn new exercises and try new healthy recipes so she can share them with her clients. She is looking forward to continuing her education and obtaining a Bachelor of Science degree, minoring in Human Nutrition and majoring in Applied Psychology. Eventually, she would like to achieve a Masters in Sports Psychology. Emily graduated from the University of Northern Colorado with a bachelor’s degree in Exercise Science and obtained her personal trainer certification from the American Counsel on Exercise. In college she helped train athletes to improve strength and agility and educated them on proper lifting form and injury prevention. After college she was a trainer at a physical therapy clinic where she worked with a broad range of individuals from an elderly patient with chronic back pain to a young athlete post knee surgery. 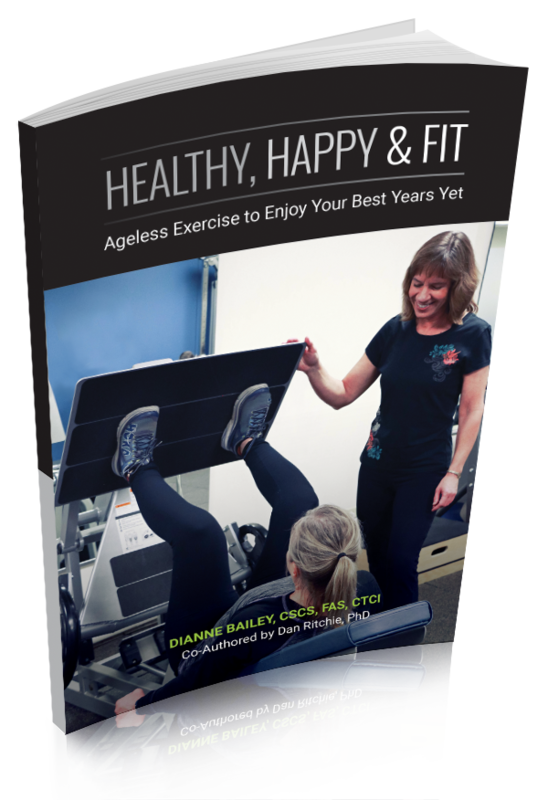 She always had a passion for fitness and loves being able to help others understand that it’s never too late to get started with a healthy and active lifestyle. Working in a physical therapy clinic helped her see that a sedentary lifestyle can lead to pain, surgery, and medication. You only get one body and taking the time to take care of it is the best thing you can do for yourself! Her goal is to design fun and effective workouts for my clients and to educate them on a healthy lifestyle so they can continue do all the things they love whether that’s traveling, hiking 14ers, or keeping up with grandkids.